Full marks for 42Travel for coming strong with a uniquely designed RFID Neck Wallet. It’s priced well but does it tick all the boxes? 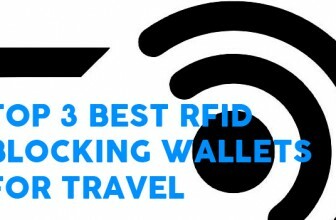 How Does the 42Travel RFID Neck Wallet Stack Up? I love seeing new designs in the industry, it gets me all excited like opening a presents at Christmas. 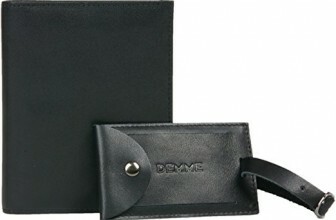 The fact is, there is an accepted general design, look and feel for the majority of neck wallets. Most of the time, subtle variations can be a good thing. Sometimes they are not. Other time companies like Zero Grid knock it out of the park. Let’s talk about some of the key features of the 42Travel RFID Neck Wallet. Firstly, it comes with two adjustable straps. A longer one and a shorter one. 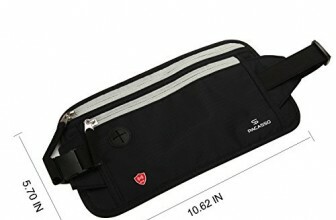 You can adjust these to about as small as you need and if you’re a larger gentleman/lady, you can opt to use the longer strap. The straps themselves are thin and look quite durable. You can attach the straps to a loop on the wallet itself with a metal clip. Bonus points for the metal clip, not so much for the loops that they attach to. There are going to be defects in most mass produced products, but a loop made of fabric with poor stitching can be a big problem. The integrity of your wallet rests in the knowledge that it will not come undone. Forget wear and tear, if someone yanks on the wallet, it needs to stay in place. I’m not convinced this loop is good enough and might need to be looked at for future iterations. On the plus side, 42Travel have completely surrounded this wallet in great RFID protected materials. It doesn’t affect the bulkiness too much at all and seems well integrated. 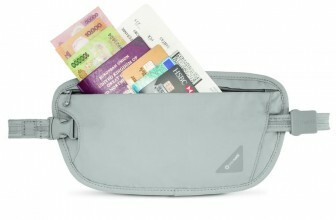 The wallet is multi-wearable, the belt loop makes it easy to wear at the waist in addition to around your neck. The 42Travel RFID Neck Wallet also features YKK zips, a must for durability and integrity. Yes, YKK zippers do fail at times but they are currently the best zippers for this utility. Any zip issues are a matter of bad luck and not attributable to 42Travel. Sorry guys! 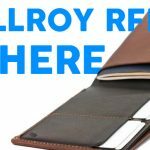 Made from 420D ripstop nylon, you can expect a tough, light-weight neck wallet. 42Travel also provide a soft mesh backing to prevent itching and hopefully deal with moisture as well. Looks and feels comfortable to me. 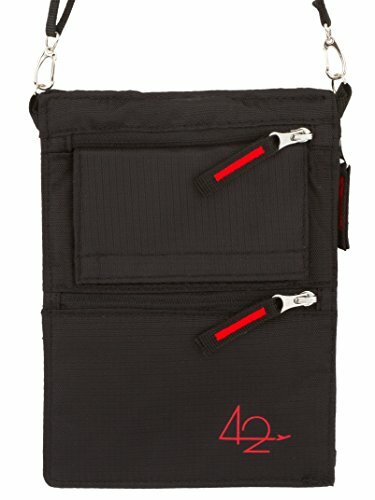 The 42Travel RFID Neck Wallet comes with 3 zippered compartments and a velcro pocket. The velcro pocket is designed for ID or even credit cards if you prefer. I will say that it is less of a pocket and more of an ID slot protected by a velcro flap. Underneath this is a smaller horizontal zip for storing change/credit cards. For your passport/smart phone, there is a large vertical zip that runs the length of the wallet. This would perhaps be my choice for currency too as the other pockets would require folding which I try to avoid. 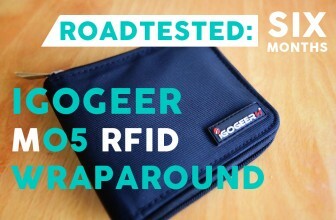 Even with the added velcro flap, the 42Travel RFID Neck Wallet is fairly slim. 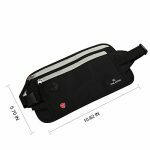 Once full, like most wallets, the neck pouch expands a bit and is more noticeable under your shirt. There’s no real solution for this though, the more you pack, the more noticeable your neck pouch will be. Value wise, 42Travel certainly hit the mark. A unique design that seems to work well with good zips and materials. Very decently priced. Not only that, they offer a 100% satisfaction guarantee, no questions asked and their customer service is attentive and quick to act. 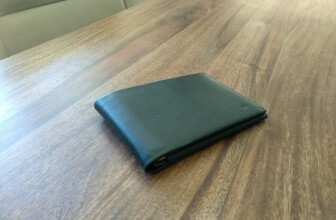 The 42Travel RFID Neck Wallet ain't perfect - the place where the strap meets the wallet needs some work. All in all though, it's a pretty good attempt at this price point. 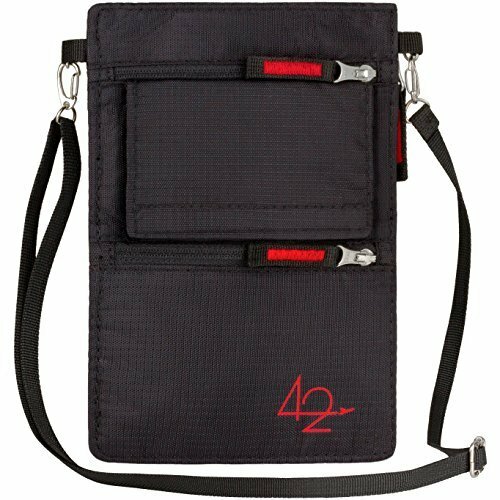 42Travel use good zippers and the RFID blocking is more than adequate. If you like the design and where the pockets are, it's a safe bet. Just watch that strap!